Straight black hair should be trimmed every few months. Gentle brushing keeps black hair shiny without causing damage to the follicles. Like other types of hair, straight black hair should be washed and conditioned on a regular basis. The hair should also be brushed every day and trimmed every few months. To keep the sleekness and color of their hair, some individuals also choose to use hot irons and hair dyes. Heat and chemicals should not be used frequently, however, since they can damage the hair. Most stylists recommend shampooing straight black hair regularly. This will help remove any oil, dirt, and product build up from the hair and scalp. As a general rule of thumb, most people should wash their hair every day or every other day. People with dry hair, however, may only need to wash their hair once every few days. 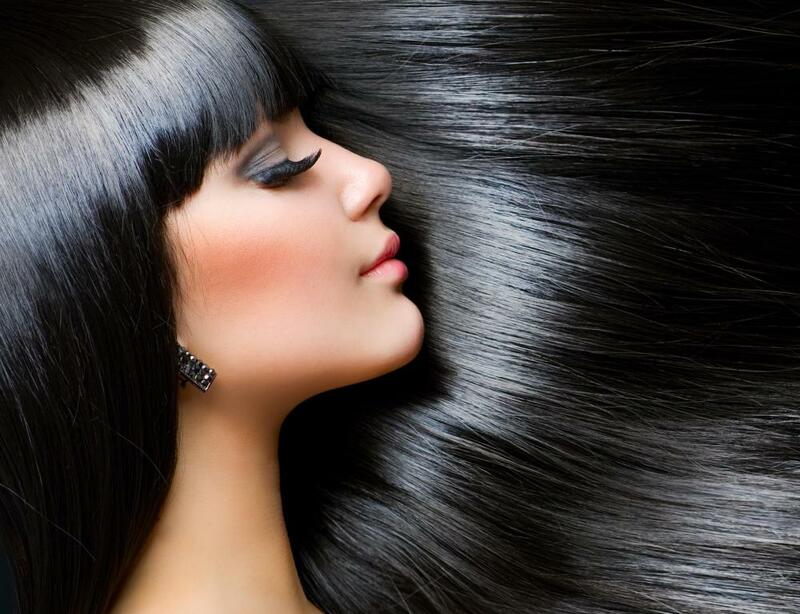 Hair conditioners can also add shine, body, and moisture to straight black hair. Traditional cream conditioners are generally applied to wet hair after it has been washed, and then rinsed out. Leave-in conditioners, on the other hand, are simply sprayed onto the hair and left in. After washing straight black hair, the hair should be squeezed dry with a towel. Stylists usually discourage people from rubbing their hair vigorously with a towel, since this can damage the hair. Although it is usually best to allow the hair to air dry naturally, it can also be dried using low heat from a hair drier. To detangle straight black hair, most stylists recommend using a wide-toothed comb. Difficult tangles can be sprayed with leave-in conditioner before being picked apart with a hair pick or comb. The hair should also be brushed at least once a day with a natural bristle brush to help coat hair shafts with the natural oils from the scalp. Damaged hair and split ends should also be removed during regular trims. Most stylists recommend getting the hair trimmed about every few months. 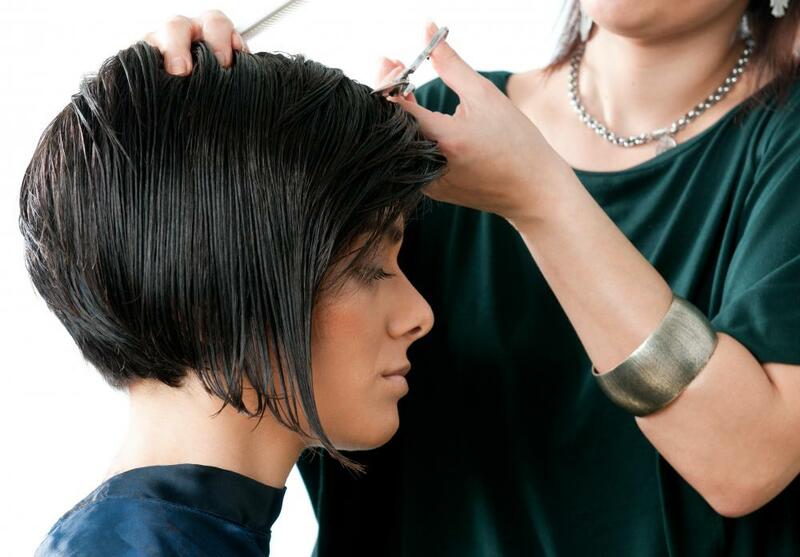 Layers can also add body and movement to long straight black hair. To maintain the sleekness of straight black hair, some people use hair-straightening methods. Hot irons, or flat irons, are one of the easiest and least expensive ways to straighten hair, but they can also be very damaging as well. To avoid causing extensive damage to the hair, people should only use flat irons that are set on very low heat. To maintain its color, many people may also dye their straight black hair as they get older. Highlights in black hair can also help break up the monotone color and add dimension to it. Hair dye often contains harsh chemicals, however, and it should only be used periodically. How Do I Choose the Best Black Hair Highlights? What Are the Different Types of Black Hairstyles? How Do I Choose the Best Perm for Black Hair? What Are the Different Hair Weave Styles?